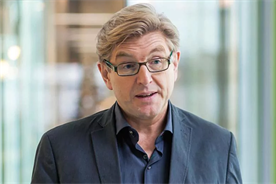 Keith Weed, Unilever's marketing chief, has thrown down the gauntlet to the tech giants and ad agencies as he seeks greater transparency and trust with online platforms. 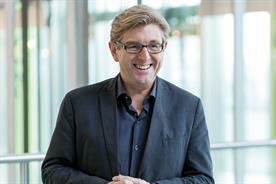 When Keith Weed warned Unilever would halt investment in online platforms that "breed division", he says he wanted to "put out a challenge" and "set the agenda" for the ad industry and beyond. Weed, who has invited Campaign to Unilever’s London headquarters to explain the thinking behind his address to the US IAB last month, succeeded in his aim. His speech, entitled "In brands we trust", was the most talked-about presentation by a marketer since Marc Pritchard, his counterpart at rival Procter & Gamble, spoke at the same IAB event a year earlier. 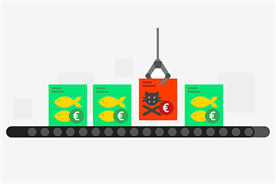 Pritchard warned that the digital media supply chain was "murky at best, fraudulent at worst" and demanded P&G’s agencies change their behaviour within 12 months. Weed, who says "I’ve been talking about the digital supply chain for longer than anyone else", felt it was important to confront a bigger issue: the power of the online platforms and their impact on society. "I do think we’re at a genuine crossroads now," Weed declares, sitting in a meeting room with more than two dozen Unilever beauty and food products, from Dove to Marmite, on display. "The crossroads is around a bigger subject than just talking about the digital supply chain and the various nuts and bolts of that. 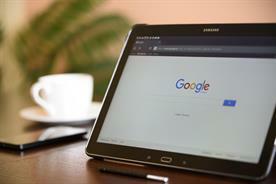 Because now it really is impacting people, consumers and the level of trust." 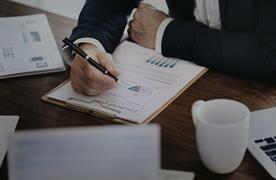 The Unilever chief marketing and communications officer has been particularly struck by the slump in trust in social media companies in Edelman’s recently published Trust Barometer. He says at various points during the interview that "a brand without trust is a product" and "trust arrives on foot but leaves by horse". 2018 will be the year of the "techlash" or the year when trust is rebuilt, according to Weed. His speech offered a three-pronged solution: responsible platforms, responsible content and responsible digital infrastructure – the latter to ensure that measurement is accountable and verified. Most importantly, Weed said that Unilever, the world’s second-biggest advertiser after P&G with a €7.5bn (£6.6bn) budget for brand and marketing investment, "will not invest in platforms or environments that do not protect our children or which create division in society, and promote anger or hate". Those comments were widely interpreted as a threat to Google and Facebook if they did not clean up what Weed calls the online "swamp". And, thanks in part to the efforts of Unilever’s PR team, which trailed his speech in advance, news outlets from the Daily Mail to Channel 4 News to USA Today picked up on it. The Daily Mail’s City editor, Alex Brummer, called it "a watershed moment in the battle to clean up the web" – and it is clear that Weed’s "vision for what needs to improve", as David Wheldon, president of the World Federation of Advertisers puts it, resonated beyond the world of media and advertising. But will words translate into action? Is Unilever’s warning that it could withdraw its media spend from the likes of Google and Facebook a genuine threat? "No, it’s genuine encouragement," Weed answers, smiling but picking his words carefully. He insists that boycotting Google and Facebook is not going to solve problems such as offensive content, fake news, brand safety, measurement and fraud. "The thing I am trying to stress to other advertisers is I think the best way when you get in those situations of challenge is to engage and lean in," he says. Weed cites the YouTube brand safety scandal last year when advertisers found themselves next to jihadist and extremist content. Unilever had strong checks in place, so "we did not have the same issues as others", and it did not pull its ads. "If we’d just walked away from YouTube at the time, we wouldn’t have had a voice in engagement and we couldn’t have had a positive voice in shaping the agenda," he points out. Critics claim the tech giants don’t engage properly but Weed thinks it’s unfair to impugn their motives. He likens the leaders of today’s tech pioneers to Unilever founder Lord Leverhulme, who "started this company to make the world a better place" and "take soap to the masses" in the 1880s. "To this day, we are the largest soap company in the world," he says. It’s just the pace of technological change that means "we are in a slightly different place than anyone intended, including the founders", Weed says. "The unintended consequences need to be addressed." He believes the tech founders have shown "much stronger commitment to being proactive" in the past 12 months. "I don’t think for a split second any of them want anything other than their products and services to help the world get better," Weed says. Some believe that greater regulation is the answer but Weed is not convinced that governments can "keep up". He has seen "quite positive progress" on lots of "different issues" such as viewabilty and third-party verification, although "whether they are being dealt with fast enough is a fair challenge". He continues: "I think the powerful approach we can take right now is to get agreed principles [for self-regulation] across the industry that we then collectively adhere to for the good of the final user. At the end of the day, this all succeeds on whether or not viewers view, advertisers advertise, publishers publish." Wheldon says Weed’s speech is just "a taste of what’s to come" and the WFA is now working with other brands to build "a framework for cross-industry action". Agencies have more to worry about than Unilever’s treatment of tech companies. Like other consumer goods giants, notably P&G, the group has radically changed its agency relationships in the past 12 months. Unilever slashed – "halved", Weed interjects – the number of agencies it uses from 3,000 to 1,500 and reduced the number of ads it makes by 30% in what was widely seen as a cost-cutting move after Unilever rejected a bid by Kraft Heinz. Weed says it makes sense to produce fewer ads because they were not "wearing out" and "we were creating too much content" but he insists the group’s commitment to advertising and marketing is undiminished. "Unilever will win or lose on its ability to build vibrant, differentiated brands," he says, noting that the group’s annual brand and marketing investment is €1bn higher than when he took on his role in 2010. Unilever’s BMI was virtually flat last year as savings in ad production were reinvested in an extra €250m of media and in-store spend. 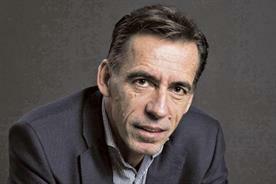 "Our objective is very, very simple – to strengthen our brands full stop," he maintains. "Now, if I can do it more effectively – absolutely." Still, agencies are sore. Havas and WPP are among the groups that have blamed Unilever’s cuts for slowing revenues. The FMCG giant’s behaviour could also be brusque. It moved its global communications planning account from PHD to Mindshare without a review. Another agency that expanded its role says it had to accept a significant fee reduction. 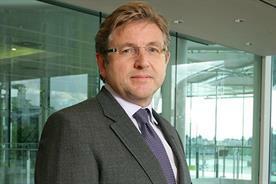 The fear is Unilever will slash more agencies. All FMCGs are under pressure because of ecommerce brands and activist investors, and zero-based budgeting is all the rage. 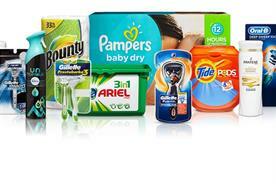 P&G halved its agency roster last year and will halve it again. Weed hints more drastic cuts at Unilever are not on the cards: "Yes, I think the halving was the step-change and we will continue to focus our resources on the best agencies. To me, best agencies are a combination of fabulous creative and strategy and also value for money." 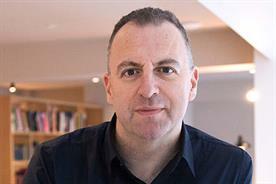 Unilever has restructured by merging global and local marketing teams and Weed feels that the agency groups could better organise themselves to serve their clients because they are operating too many specialist agencies. That has meant the advertiser has to do a lot of the work integrating the different services, rather than the agency group doing it. 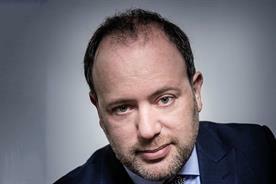 Weed has talked previously about the danger of the "fragmentating" of brands in a more complex media world and he says having lots of specialist agencies in mobile, social and other disciplines potentially aggravates the problem. They think about "optimising for the channels", instead of "optimising for the brand", Weed says. "What agencies need to do more and more is to integrate the offer themselves", so that they are able say to clients: "If you want to optimise your [overall] brand communication, this is what it should look like." He harks back to the days of big full-service agencies such as J Walter Thompson in London’s Berkeley Square where they could "pull together all the brand communication". The agency holding groups have "all the component parts" to do this, he says. 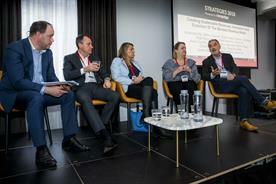 "The challenge back to the agencies is: if one of the biggest challenges for advertisers right now is the fragmentation of the brands, not only help them to integrate to create more consistent brand thinking but actually lead the integration." 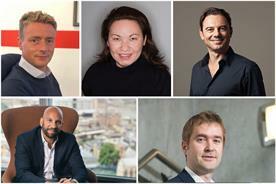 Accenture and other consultants claim to offer a joined-up, end-to-end customer experience for brands but Weed says: "I have not yet seen any of the new kids on the block show the level of creative breakthrough and strategy which I believe we need in this highly competitive and complex world. Let’s not forget that what advertising agencies deliver as the differentiator is brilliant creative that engages people and communicates and builds brands." Still, advertising is "changing rapidly", as Weed says, and Unilever now splits its output into traditional "interruptional" advertising and "seek-out" content. The latter is a mixture of "needs-based" content such as household tips and recipes and "passion-based" content such as entertainment. In Unilever House, there are several in-house creative studios, called U-Studios, on different floors that would not look out of place in an ad agency, with small teams working in colourful, open-plan spaces on brands such as Wall’s. 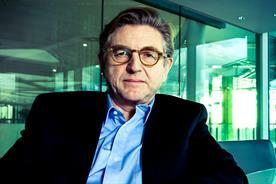 Unilever says U-Studios’ work is "30% cheaper than external agencies". Weed, who studied engineering at the University of Liverpool, knows how to build his personal brand. He is a frequent public speaker (he never uses an autocue, he says) and has a penchant for colourful clothes. He wears unmissable green blazers at Cannes Lions and is sporting purple socks with loafers on the day of this interview. 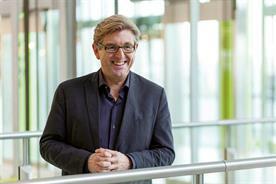 "He likes the limelight – but so does Pritchard," an agency chief says. Weed, who joined Unilever in 1983, is a gregarious figure with connections. He has been a non-executive director of Prince Charles’ Duchy Originals and recently became a director of Grange Park Opera.. Some Unilever colleagues are said to refer to him affectionately as Austin Powers, the spoof English secret agent who jets around the world (Weed flew from London to California for 24 hours for his IAB speech). Weed turns 57 in April, so he could have another big job in him. Unilever is bracing for change as Paul Polman prepares to step down as chief executive and it could move headquarters to Rotterdam because of Brexit. For now, Weed is focused on following through on his challenge to all of the tech giants and is talking to each of them individually. 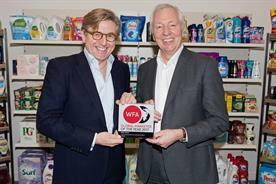 "That conversation has made good headway for Unilever and that’s what I’m going to continue to do," he says.